There is no better place for art exhibitions than the old sea merchants trade exchange in Palma, La Lotja, a marvelous piece of Gothic architecture by the hand of Guillem Sagrera (1380-1454). And there is no better art installation on view at the beginning of this New Year than Sombras by French artist Christian Boltanski (1944). 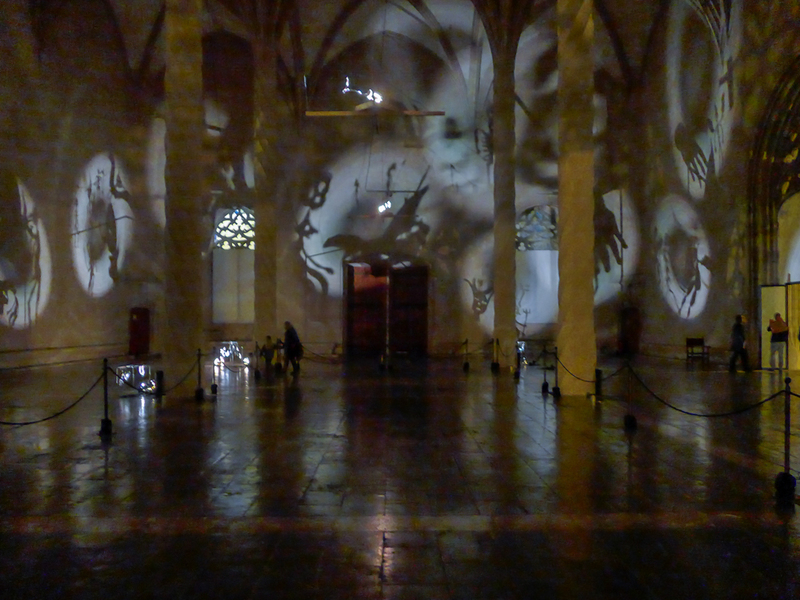 The intriguing show of light and shadow is on view daily from 18h00 to 22h00 until February 20th, 2015. Admission is free. You should go if you are anywhere near Palma these days, if only to admire the stunning interior of this grand building. The photo was taken in Palma de Mallorca, Baleares, Spain. The date: January 21st, 2015.